The Conservatives roasted Trudeau in 2016 over fundraisers where the prime minister and his cabinet attended exclusive parties in private homes. People paid as much as $1,500 -- the maximum the law allowed at the time in annual donations to one party -- to rub shoulders with ministers. The maximum donation this year is $1,600. Ng said Scheer should allow journalists to attend the event at Frum's home or face questions about "who is lobbying him or what promises he's making in secret." 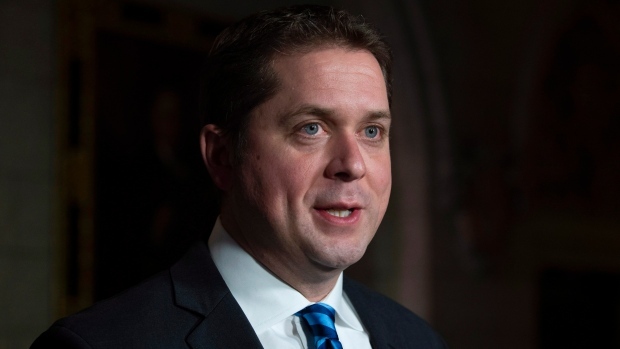 He said the party will accommodate media coverage of fundraisers when possible, "and if the size, location, or any other variables allow for it, we will always open the event for Mr. Scheer's remarks." New rules that came into effect Dec. 21 require parties to disclose fundraising events to Elections Canada, which then publicly posts the details of where and when they're held, followed later by a report on who was there and the cost to attend. The rules apply to events attended by ministers, party leaders or leadership candidates. The event at Frum's is the first fundraising event the Conservative are reporting under the new regime. The Liberals have reported six events, including one scheduled for Friday at Toronto's Fairmont Royal York hotel.